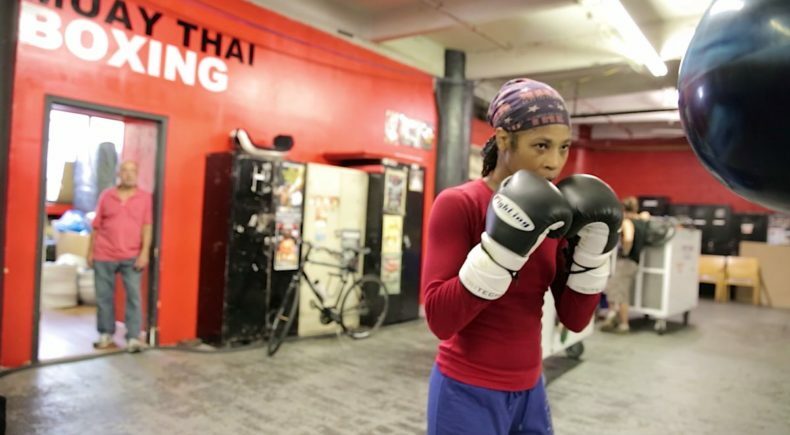 Crew:Director / DP / Editor: Ted Sananman - Second Camera: Rebecca Israel, Gabriel Flores, Jenny Groza - Additional Audio: Lenny Moore"
Ashley Ashley is a documentary short about siblings, competitive spirit, drive and the ability to succeed in America. Motivated by an unorthodox and accomplished father, Maurice and Alicia Ashley channel their passion, talent and competitive fire into a path out of the drug violence of 1980s Brownsville, Brooklyn. The documentary explores their paths to remarkable success in professional boxing and chess. Ted Sananman is a Brooklyn-based filmmaker who recently completed a documentary fellowship at BRIC's Brooklyn Free Speech. During which time, he made a documentary short called Ashley Ashley about two siblings, Maurice and Alicia Ashley, who channel their passion, talent and competitive fire into a path out of the drug violence of 1980s Brownsville, Brooklyn. Ted received an MFA in Creative Writing from New School University and is a member of the New York film collective FilmShop. His work has been featured in National Geographic. Director Ted Sananman will be available for Q&A after both screenings.